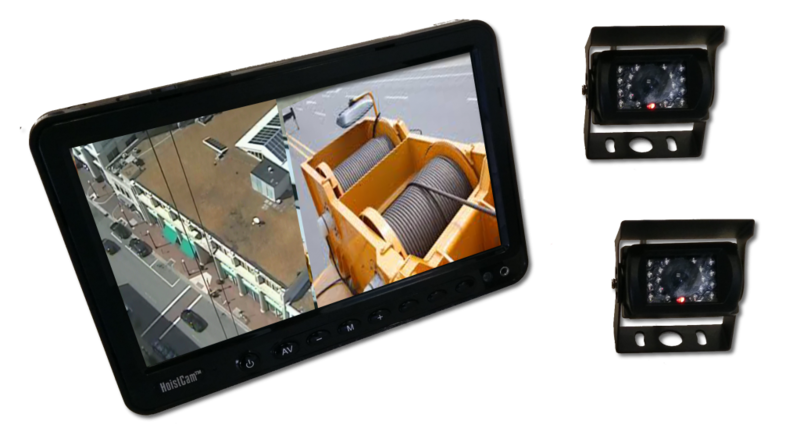 Split screen wired winch, site and backup cameras allow the operator to view multiple angles. The cameras can be used in marine, construction, and industrial applications. 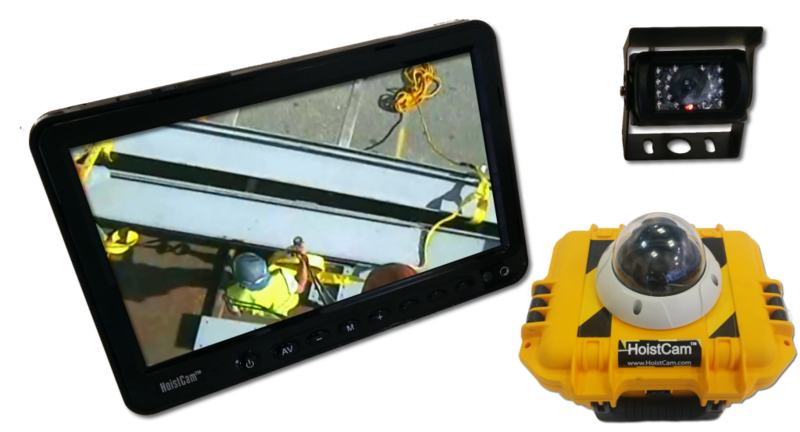 From crawler cranes to dump trucks, and tower cranes to overhead cranes, HoistCam makes it possible to eliminate all of the blind spots and dangerous lifts while increasing safety and productivity around the operator. Wired cameras can be integrated into the HoistCam wireless systems as well. Below depicts a wired camera and wireless HoistCam HC180. With a single press of a button, the operator can switch between viewing the load directly or viewing the winch. View from HoistCam on Monitor with HC180 and Winch Camera. Quickly switch between viewing the hook block or the winch with a single press of a button.